Critics warn that government agencies are making the same mistakes that led to the economic downturn of 2008. Federal agencies have made a series of recent moves that could precipitate another housing crisis similar to the one in 2008, experts say, again threatening the stability of the entire U.S. economy. Housing regulators and other agencies have announced rulings and proposals in recent weeks that would lower credit and lending standards for home mortgages. Subprime or low-quality mortgages that defaulted in 2008—a majority of which were backed by the government housing giants Fannie Mae and Freddie Mac—were a significant contributor to the economic downturn. Additionally, Fannie and Freddie currently hand over most of their earnings to the Treasury Department under changes made by the agency in 2012. 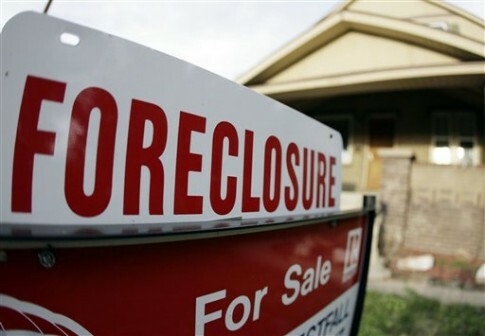 That means that as home loans become more risky, the companies known as government-sponsored enterprises (GSEs) would have no capital buffer to absorb losses. Taxpayers could again be called upon to rescue them in the event of another economic shock. Treasury provided $188 billion during the 2008 crisis to save Fannie and Freddie, which were seized by the government and placed in "conservatorship" by the newly established Federal Housing Finance Agency (FHFA). "When those two firms fail—as they will, especially when they don’t have any capital—the result will be the taxpayer will have to pick up the bill again," said Peter Wallison, a fellow at the American Enterprise Institute (AEI) and former general counsel of Treasury during the Ronald Reagan administration, in an interview. "The lessons of the financial crisis have not been learned," he added. FHFA Director Mel Watt said last month that Fannie and Freddie would soon begin to guarantee loans with down payments as low as 3 percent, though the final details of that plan have yet to be released. The two companies operate by buying loans from lenders, selling those loans in mortgage-backed securities, and then guaranteeing payment to investors if the loans default. Fannie and Freddie purchased loans with little or no down payments before 2008, but had largely stopped doing so in recent years. Watt also expressed concerns that lenders had restricted loans to borrowers with lower incomes or credit scores out of concern that Fannie and Freddie would force them to buy back the loans if they defaulted. He outlined instances where lenders would not have to repurchase the loans, and encouraged them to loosen up lending standards. On Friday, Watt sought to assuage concerns that lower down payments would result in more defaults. Borrowers will still need to have "compensating factors" such as strong credit records or lower debt-to-income (DTI) ratios, he said, and the loans will require a form of "credit enhancement" such as private mortgage insurance. "There are creditworthy borrowers in today’s market who have the income to afford monthly mortgage payments but do not have the money to make a large down payment and pay closing costs," he said in prepared remarks at the National Association of Realtors Conference & Expo. "Purchase guidelines that allow for 3 percent down payments will provide an opportunity for access to credit for some of these borrowers." Wallison said he was skeptical that private mortgage insurance firms would accept mortgages with the low down payments, adding that the risk would eventually go back to Fannie and Freddie or the Federal Housing Administration (FHA). The loans could actually be more expensive with the addition of mortgage insurance premiums. "The right conclusion would be to have a good solid down payment and good credit score and the borrower gets a much less expensive mortgage," he said. Six federal agencies, including the FHFA, also announced last month that while sellers of some asset-backed securities must retain at least five percent of the credit risk of the assets, other securities backed by "qualified residential mortgages" (QRMs) are exempt from the risk retention requirement. The new criteria for "prime" or traditional mortgages requires borrowers to document their debt and income and meet a DTI benchmark of 43 percent or less. However, the new rule dropped the tougher credit and lending requirements of the initial proposal in April 2011—which included a down payment of at least 20 percent and a DTI ratio of 36 percent or less. Wallison said the rule "completely destroyed" the risk retention goal of the Dodd-Frank Act that was supposed to make mortgage-backed securities less risky. Those securities were a principal cause of the financial crisis. Wallison said he hopes a new Congress, now led by Republicans in both chambers, will take action to reduce government involvement in the housing market. As long as Fannie and Freddie dominate the purchasing of home loans, a coalition of realtors, homebuilders, low-income housing advocates, and lenders will push for lower lending standards that inject risk into the market, he argued. "Once you turn it over to the government, all of the tendencies are to reduce underwriting standards until the result is a series of failures and defaults that caused the kind of problems we had in 2008," he said.